How to Uninstall FL Studio 12 on Windows OS? 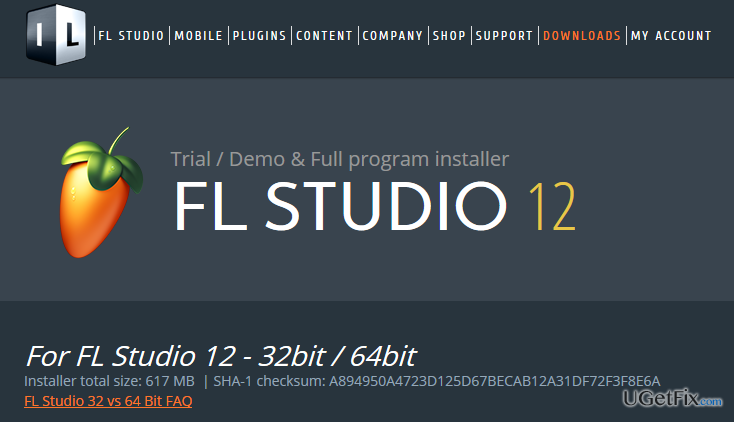 Home »	Uninstall » How to Uninstall FL Studio 12 on Windows OS? Issue: How to Uninstall FL Studio 12 on Windows OS? I can’t remove FL Studio 12 on my Windows 10 PC. I don’t know what’s specific about this program, but it keeps running in the background. I want a full removal guide, please. Sometimes people think that we include only wrong/malicious programs into out blog, which is not true. The majority of the programs that are included under ‘Uninstall’ section are safe to use and, even more, very handy tools. FL Studio 12 is just like that. This application has a handful of positive features, so if you are not sure whether you want to uninstall it or keep, then we recommend you to keep it and try. In fact, FL Studio 12 is a software music production environment, which can also be referred to as Digital Audio Workstation (DAW). It has been developed by Image-Line Company, which has been working on this app for almost 18 years. Therefore, FL Studio 12 is a perfected tool that is full of comprehensive music production-related features, such as recording, editing, mixing, composing, quality enhancing, and so on. However, if this app did not meet your expectations or if you simply don’t use it, then your decision to uninstall FL Studio 12 completely it right on time. Probably you have checked properties of this application and noticed how large-sized it is. Thus, keeping it on your machine for ‘just in case’ is not clever as it takes up a lot of space, uses CPU, RAM, etc. Thus, if you machine is not maintained properly or if it’s relatively old, FL Studio 12 may trigger slowdowns, crashes or even errors. Therefore, if you are not going to use this tool soon, follow the guide given below and perform a full FL Studio 12 removal. C:\Documents and Settings\%USER%\Application Data\ SlimDrivers. The most important task is to find and remove each and every one FL Studio 12’s files. Therefore, don’t rush and go through each folder step-by-step. In order not to burden the system with useless files, our recommendation would be to use Perfect Uninstaller. Besides, in order to keep your PC fully optimized, our recommendation would be to install Reimage and scan the PC with it regularly.